Input text: a ball. a 20 feet tall gray dodo is 600 feet behind the ball. 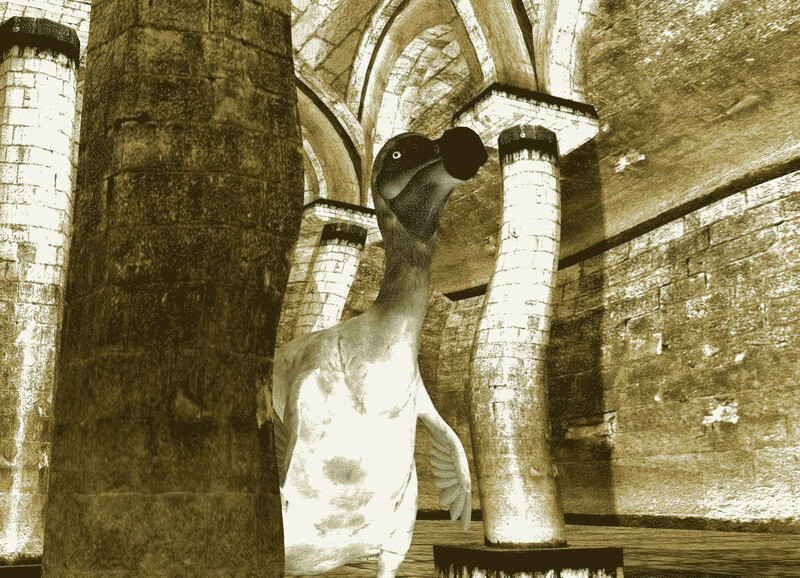 the dodo is 8.5 feet above the ground. it is night. the camera light is black. it is morning. the sun's azimuth is 10 degrees. the sun's altitude is 10 degrees. a 1st dim white light is in front of the dodo. a 2nd dim white light is 5 feet above the 1st light. a 3rd dim white light is 5 feet above the 2nd light.. a 4th dim white light is 5 feet above the 3rd light. the ambient light is navajo white. yes, gives me the willies!